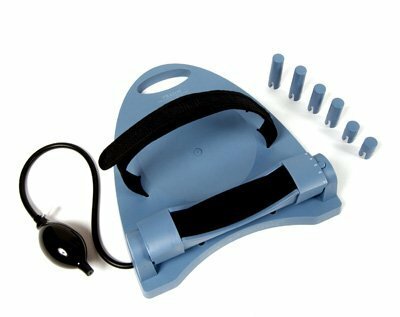 Positional Restoration and Traction of the Spine o Cervical Traction o Therapeutic o Multi-Positional o Safe o Easy-To-Use o Comfortable o Affordable Precision Technology and Functional Design Item #: 7000 The five (5) positional adjustable design of the PRATOS easily customizes to the patients needs, providing specific treatment and maximum pain relief. In addition, features of the PRATOS not available in anything else on the market today include: The Pointable Constrained Inflator (PCI) constrains and directs inflation pressure to desired area. Low profile design provides a relaxed treatment experience. Different sized legs allow for flexible usage - flexion, extension and rotation. Forehead support strap assures proper head position and stability. Lightweight and portable PRATOS requires minimal storage space. If you have any questions about this product by Pro-Med Products, contact us by completing and submitting the form below. If you are looking for a specif part number, please include it with your message.